During this era the Peel economy was dominated by fishing, boat building and the trading of fish. 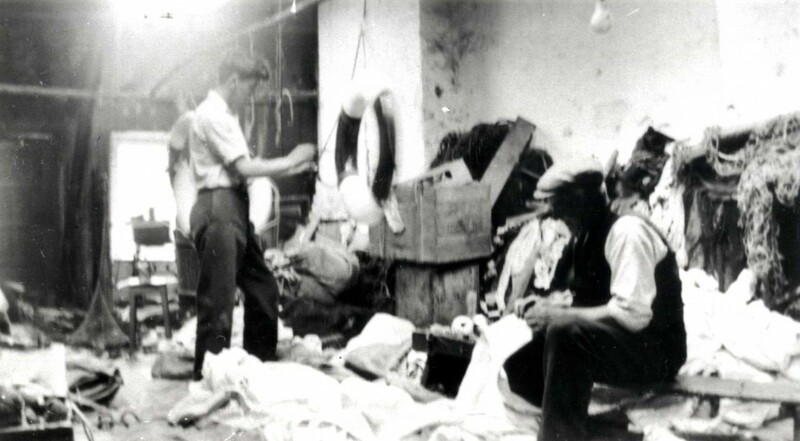 The industry reached its peak in the mid to late 19th century when in 1854 a Robert Corrin, son of a Peel grocer, brought the first fishing net making machines from Scotland to Peel and changed the net making method from a cottage industry into industrial production. During this period Manx fishing had been confined to fishing for herring in the summer months until the same Robert Corrin financed the first Manx fishing boat to determine the prospects of mackerel fishing in the spring time off the coast of southern Ireland. This venture had great commercial success and helped Peel’s fishing industry grow as well as other trades such as sail making, ship chandlers, ship builders, riggers, blacksmiths, smokehouses etc. Teare and Sons prospered during this period of economic growth and invested their money in Manx built boats. I find this archive fascinating because by using their records of accounts, daily orders and sales, supplied goods, day books of daily orders, notes on chandlery stock, profits and losses; we can learn how a traditional business operated. Between 1850 and 1914 Teare and Sons had shareholdings in approximately 24 fishing boats and 11 trading schooners. In 1870 the company had 55 fishing boats as registered customers and by 1880 it had more than doubled to 120 customers. Teare and sons also allowed the fishing boats to take goods on credit and it could be anything from 6 months to a year before they were paid. By allowing boats to take credit, investing their profits into shared in existing boats and advancing wages to fishermen’s wives and families the Teare family did much to knowingly support the local fishing industry. 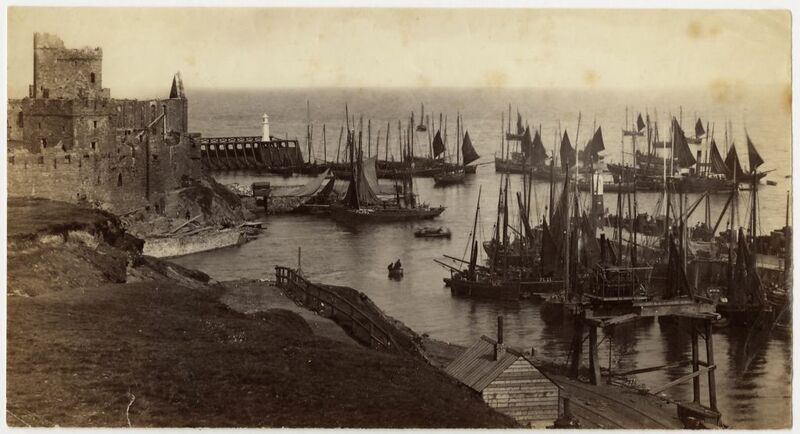 Looking at this photograph you can see the sail making room from Teare and Sons. I just love this image because I feel it encapsulates the old traditions of the Manx fishing industry. Teare and Sons sail makers represented a small, but close knit family business that preserved the art of sail making for almost 100 years. By the end of the 19th century the Manx fishing industry was in decline but Teare and Sons managed to survive. William Teare died in 1916 and sold the business to his cousin John Teare. John Teare was a master sail maker and with his son Freddie Teare the sail makers and ship chandlers business operated until Freddie’s death in 1964. For more information on this archive click here. The archive is available for consultation in Manx National Heritage Library & Archive Reading Room.